This entry was posted on March 2, 2017 at 7:09 am and is filed under Prelude, Reader's Ride. You can follow any responses to this entry through the RSS 2.0 feed. You can leave a response, or trackback from your own site. Such a great car! The Prelude, the CRX, the S2000, the Integra… purist driver’s cars that are still some of the best vehicles Honda ever made. As of yet, the big gaping hole at the Honda Heritage Center in Ohio was the lack of any Preludes. They should have at least one there! Yeah, I’m surprised that they wouldn’t have any ‘Ludes in there! Driving Steve’s made me miss my old ones. 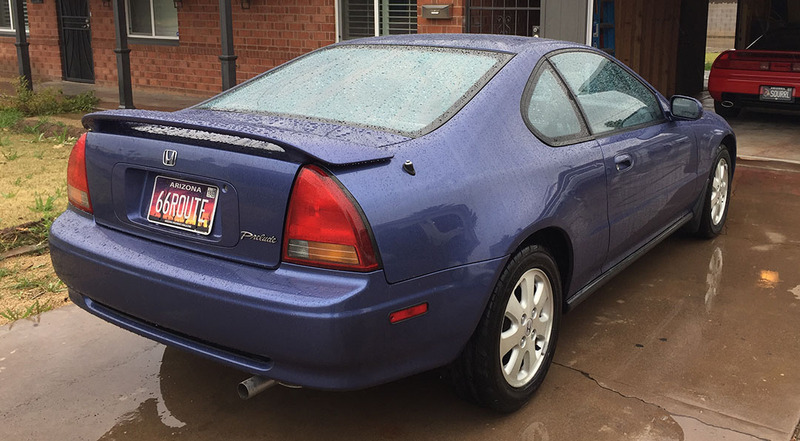 There was a suuuuuper clean “Electron Blue Pearl” 2001 (last model year) “SH” model that popped up for sale recently in Virginia or something. Caught my eye! 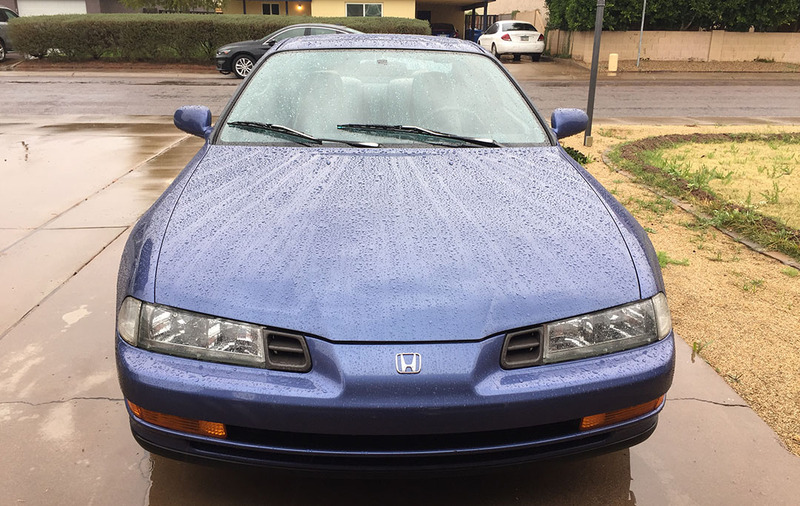 Hi Tyson, I owned that same 92 Prelude SI from new, and loved it! It was the last of five Ludes I owned going back to 1983. My 2002 RSX came close to the Prelude for driving fun. That’s awesome! I wish I could have owned one from new and kept it in showroom shape all these years. What are you driving now? That Prelude is very nice. Great color. 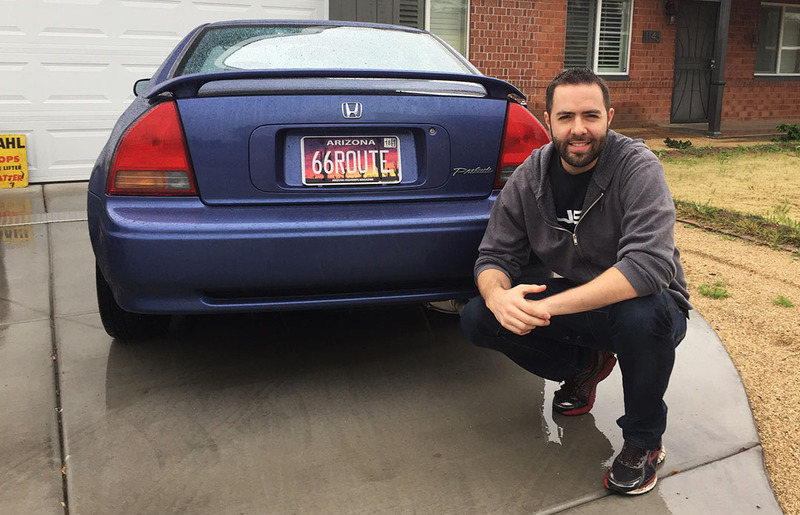 Is the displacement unusual for a Honda or Acura? I usually see 1.8 or 2.2 liter displacements on 4 cylinder engines. I agree with you, the displacement seems odd. Plus someone tried explaining it to me the other day that Steve’s Prelude does not have VTEC. There must have been various engine configurations available. “H22” seems to be the most sought after. I’ve seen guys take an H22 and stick it in a 3rd generation Prelude before for more power. I haven’t yet driven “into” Florida! Only flown there! It’s a beaut, Clark! It’s a beaut! Haha, thanks Clark Senior! Is it too early in the year to already start with the CV quotes? Never. The little lights aren’t twinkling. I know, Art, and thanks for noticing. Happy Friday Brad!! I’m not much on coupes, but that is just a gem… It’s surly to create a smile or giddy grin!!! But the way you described it sounds very nice… I do enjoy roasting a 4 banger!!! “Roast” is a good way to put it. Those old Honda motors sure do love a good rev every now and then! How I LOVE the smell of a freshly roasted engine!!!! We need more ppl to keep maintaining these wonderful vintage cars. That’s for sure! And you’re one of those people. 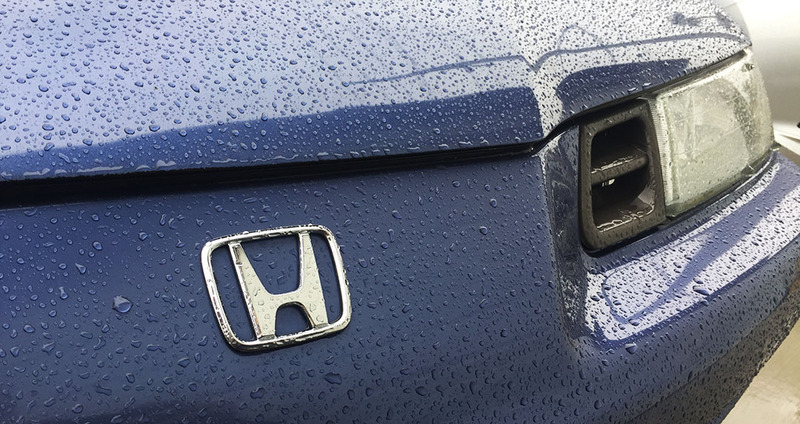 Let’s continue to preserve the Honda Heritage. Your 93SE will continue to get more praiseworthy comments as the years go by than it ever did when it was brand new. Pride of ownership! We have it. I remember the first time I rode in my friends 1993 Black Pearl Prelude. It was a very wet afternoon in the middle of winter and the cheap tyres that it had on it when he purchased the car made it very loose in the wet! Was such a great motor, especially when the VTEC kicked in. Congratulations to Steve on his new purchase, hope he enjoys! Thanks Adam! I know Steve will appreciate that. Yes there’s something about having bad tires & a wet road that make for a fun (and sometimes even scary!) experience. Have a great weekend! Sounds like you had a fun time driving this. I’m bummed I missed it. He’ll be around! Hey you’re booked the weekend of 3/18, right? That’s when Steve and I are doing our Prelude-Integra comparo at Mount Lemmon. “when cars were simple, fun to drive, and a little more interesting” – you nailed it with that description. 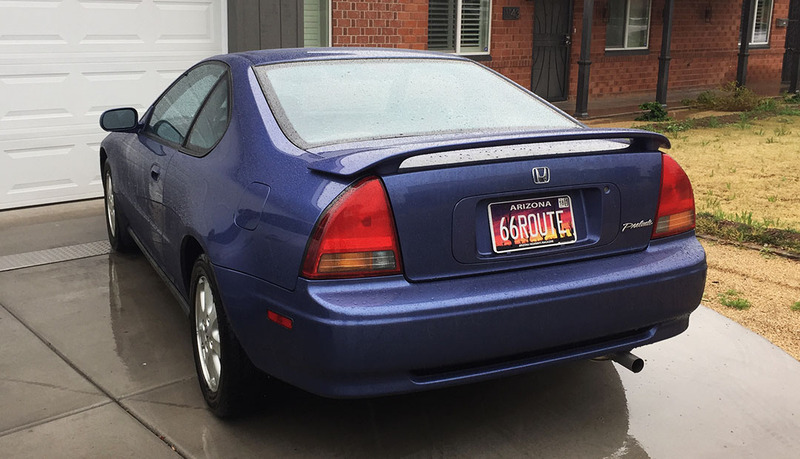 To this day, my 1998 Prelude is my favorite care, and for that very reason. There was no satellite radio, blind spot warning (which it desperately needed), adaptive cruise control, or backup camera. It was difficult to get in and out of. The interior was relentlessly and completely…black. Everywhere you looked, inside and out, black. Except for those amazingly simple and clear orange and black dials. It drove amazing. It sounded amazing. Even though Honda still sells a 2-door Accord, it’s just not the same. Nothing else is a Prelude. Thanks for continuing to post great stuff on your blog. Glad you can agree! Simplicity isn’t such a bad thing. It’s one of the main reasons I love my NSX. No cup holders. No power steering, even. No crazy technology trying to drive for me. Just sheer raw driving enjoyment. What do you drive now, Jay?